Different types o hairs have their own varied caring procedures, causes, treatments & tips. Basically there are three types of hair, viz. a) Dry b) Oily/greasy c) Normal. Given below are a brief description of the various types, their causes & treatments. Hair when labeled as dry hair, simply means, that it does not have an adequate amount of moisture & oil to regain its shine and original quality. If your hair looks dull & lusterless, its gets tangled easily and becomes irritatingly tough to brush, especially when the hair is wet, then you have dry hair. Causes: Scalp of dry hair type has lesser oil glands (which produce skin oil called as sebum). This could be one of the reasons, why the hair becomes dry. Also, people who color their hair more frequently can have dry hair as a result of the regular pounding of chemicals. There are other causes as well like bitter weather conditions, exposure to direct heat, salt-water, chlorine, extra shampooing, rigorous washing of the scalp & lastly due to negligence in maintaining the hair. Treatment: Too much shampoo can dry your hair. The easier way to combat this problem is to groom your hair regularly and give it a proper hair cut. By doing so, the problem of split/damaged ends is erased. Each hair type needs a conditioner, but dry hair requires a deep conditioner. One can massage the hair with olive oil to help reduce this problem. Precautions: Wear a swimming cap & rinse your hair properly after swimming, it helps reduce the effects of chlorine on hair. Also, the hair should be kept away from too much blow-drying, since, the heat will further dry up the hair. Diet: People with dry hair are advised to have plenty of water & a balanced diet rich in proteins, fats etc. Oily hair is the result of excessive production of oil in the scalp. It can be easily identified when by the end of the evening your hair looks greasy & unattractive. Causes: This extravagant secretion of oil in one’s scalp is due to their genetics/hormones. This overproduction of the skin oil is also the main culprit behind the cause of acne. Treatment: Scrubbing the scalp gently with a cotton pad can remove excess oil. Among other home remedies, a vinegar rinse is advised. Diluted lemon juice applied around the hair/scalp is also good. For oily hair, one needs an alkaline shampoo or a shampoo formulated only for oily hair. Some people might have to shampoo twice, depending upon the oil they secrete. It can be noted here that if the foam is nil after shampooing your hair, it means that the additional oil is removed by the shampoo. Shampooing daily is good for oily hair. Conditioners should be avoided because there is accumulated oil to take care of the hair’s natural sheen & gloss. Conditioning it would make it more oilier. Precautions: It is advised to comb less, so that while combing, the comb does not drag extra oil along the entire length of the hair. Since, hormones are responsible for this excess oil, its better to keep stress out of your system as stress is one of the factors which affect the hormone level. Avoid scrubbing/scratching the scalp as this may aggravate it to ooze out more oil. Diet: Avoid foods which are oily & fatty, they will only help in the secretion of more sebum. 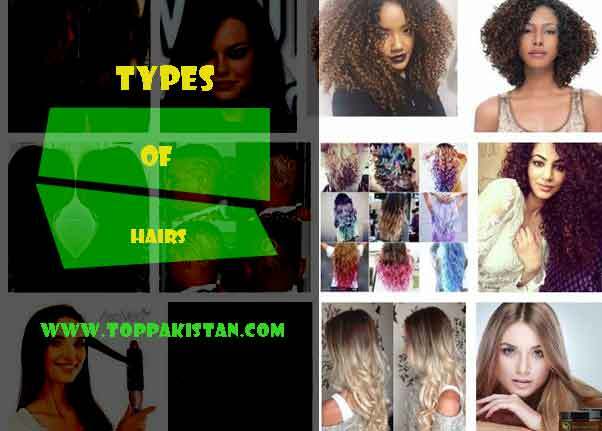 Normal hair is in between the dry & the oily types. Such hair types are not easy to be found these days. People having normal hair possess a healthy, aptly-conditioned & tangle-free hair. The best part about having this type of hair is that it can be managed easily. Treatment: General suggestions include the hair to be shampooed & conditioned using mild products, 4-5 times a week. One should avoid over exposure to direct sun light and wind. Diet: Maintaining a proper & a healthy diet is more than enough to keep such hair flowing. Even though the hair is nothing but dead cells, a diet rich in protein can still work wonders.